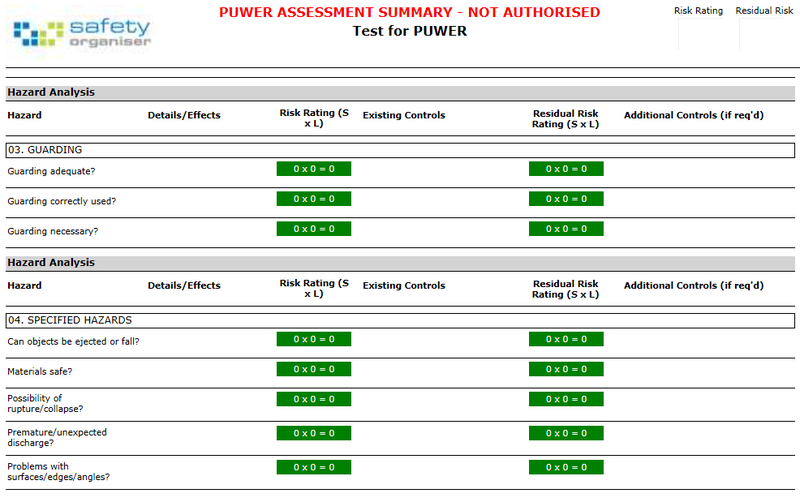 We have recently produced an alternative PUWER risk assessment that takes the key points from the regulations and displays them like hazards in a general risk assessment. 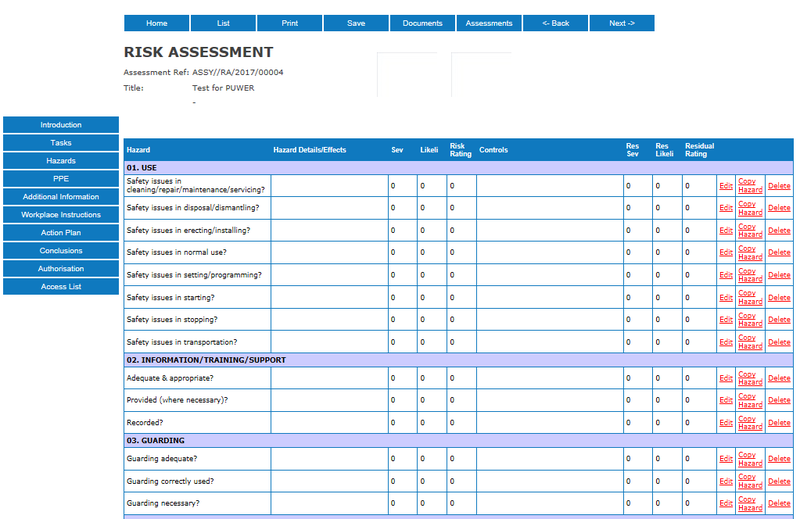 This makes it possible to set a risk rating and record control measures against each item in the regulations. Actions can also be set up to feed into the Safety Organiser action tracker.